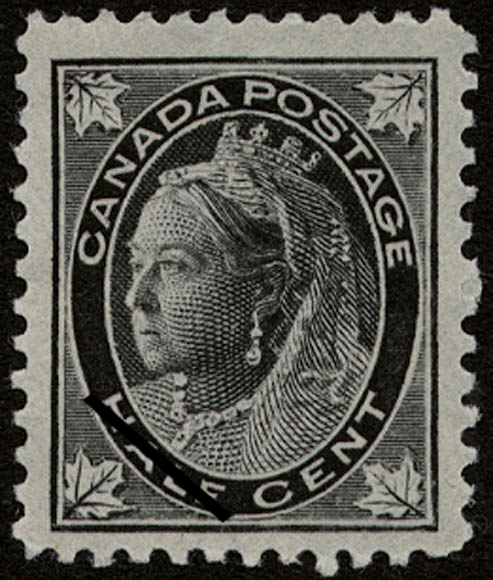 The value of a Queen Victoria - ½ cent 1897 stamp depends on several factors such as quality and wear, supply and demand, rarity, finish and more. Values in the section are based on the market, trends, auctions and recognized books, publications and catalogs. This section also includes information on errors and varieties and characteristics. The change of contract for the production of stamped postal supplies caused a need for new, regular postage stamps. The new contractors started work on them as soon as they finished the Diamond Jubilee Issue. As a model to work from, the engravers used a photographic portrait, by W. & D. Downey, of the queen taken at the time of her Diamond Jubilee, and approved and signed by her. Realistic maple leafs decorated all four corners of the stamps. In a circular letter dated October 25, 1897, the Department instructed postmasters to avoid selling the new stamps until they had sold corresponding values in the older issue. The result was that the issuance of the maple-leaf stamps in various denominations spread over a period of three months from November 1897, until January, 1898.